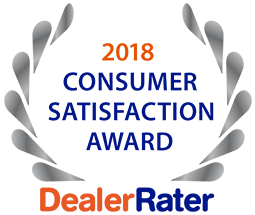 When looking for a quality St Charles Car Dealership, make sure you come take a look at 5 Star Auto Plaza. We offer the best deals on a variety of used cars. No matter what your situation, we have the vehicle for you. Whether you’re looking for a car, minivan, truck, or SUV, our selection of cars has something for everyone. 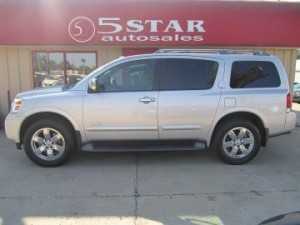 We have a large selection of vehicles to choose from in our inventory. Each car we sell comes with a warranty at no extra cost, so you can be confident in your purchase. Additionally, each vehicle we sell is Missouri state safety inspected and has been emissions tested, so you don’t need to worry about getting those done. No matter what your credit situation, our auto financing department will take care of you. We work with a large network of lenders to get the best deal for you, and we customize payment plans to fit every situation. We offer great auto financing for all types of bad credit, and also have a buy here pay here program to help rebuild your credit. We also offer a large variety of specials, so check out our website and see what we’re currently offering. They range from vehicle specials on models we want to highlight, to a gas certificate with a purchase of one of our vehicles. We know the price of gas makes owning a car troublesome at times, and we want to help out. No matter what your situation is, or what vehicle you’re looking for, we want to be your first stop when looking for St Charles Cars For Sale. If you can’t find what you’re looking for on your lot, fill out a car finder form, and we’ll let you know when we find what you’re looking for. You can reach us online by clicking here or you call us at 636-940-7600.